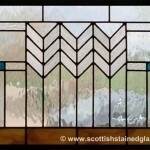 Scottish Stained Glass is proud to bring their beautiful stained glass to the City of Fountains. Although Kansas City is famed for its contributions to the musical genres of jazz and the blues, and of course that fabulous Kansas City barbeque, we are hoping the “Heart of America” will also soon be known for beautiful Kansas City stained glass work. 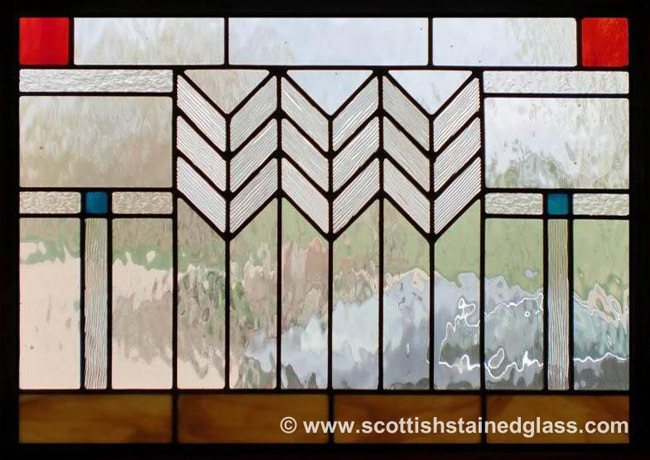 Whether you like a modern home, or a more traditionally built living space, Scottish Stained Glass will work to complement your style with our beautiful leaded and textured options. Our unique styles are as diverse as this beautiful city. Whether you prefer more traditional design, such as the Neoclassical inspired Kansas City Union Station and the Nelson-Atkins Museum of Art, or the more modern styles of the Kauffman Center of Performing Arts Building, the Sprint Center, the Bloch Building Addition at the Nelson-Atkins Museum or the Kansas City Star, our team specializes in many design styles. We also specialize in Art Deco designs as seen in Kansas City landmarks such as the Power and Light Building and the Bartle Hall Pylons. With timeless, iconic and distinguished structures such as the Liberty Memorial that define the Kansas City skyline, Scottish Stained Glass can be a timeless showcase featured in your next building project. 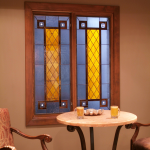 Our designers will come to your home anywhere in Kansas City or the surrounding cities and suburbs to design your stained glass window in the comfort of your own living room. 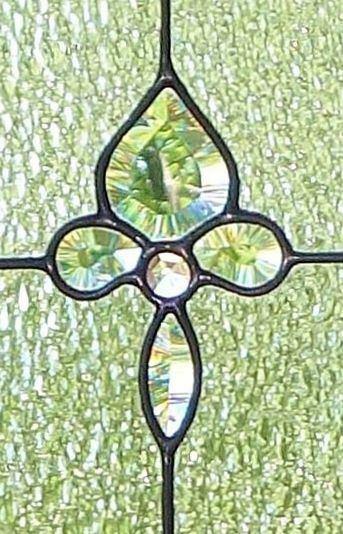 We will bring you photographs, samples, and designs for you to get ideas from and then help you custom design a beautiful piece of stained glass, taking into account your own unique style and the architecture of your home. This service is FREE of charge to all our Kansas City stained glass clients. 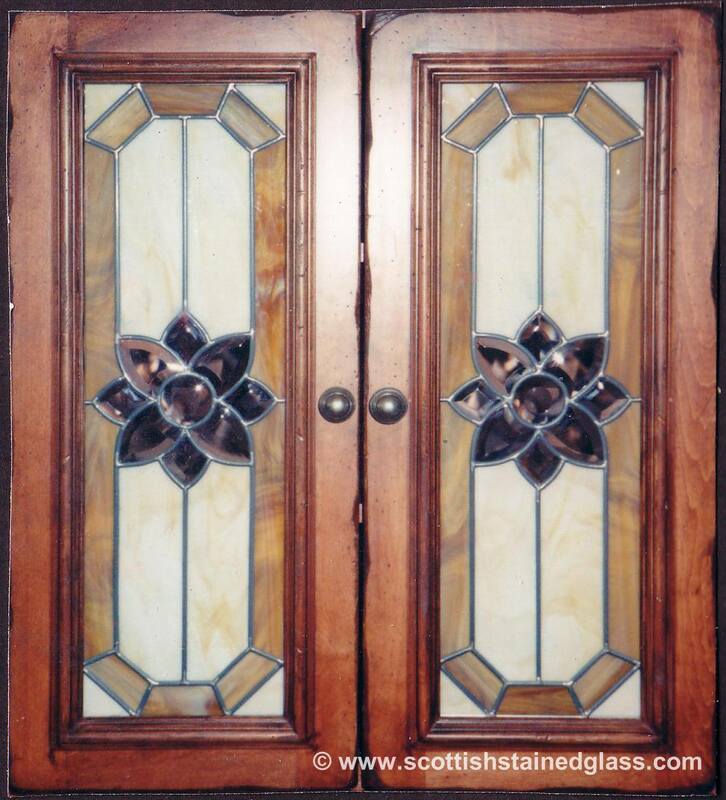 At Scottish Stained Glass, every piece that we build is custom. 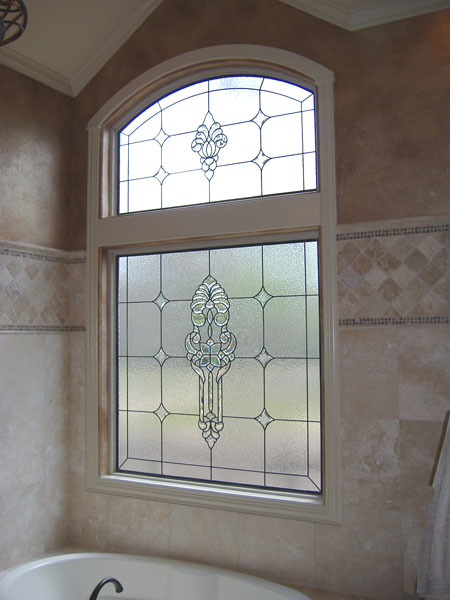 This means that we can add stained glass anywhere in your home, regardless of the size or shape of the window that you need. Our installations are also simple and mess-free, so you won’t have to worry about a construction area in your home. 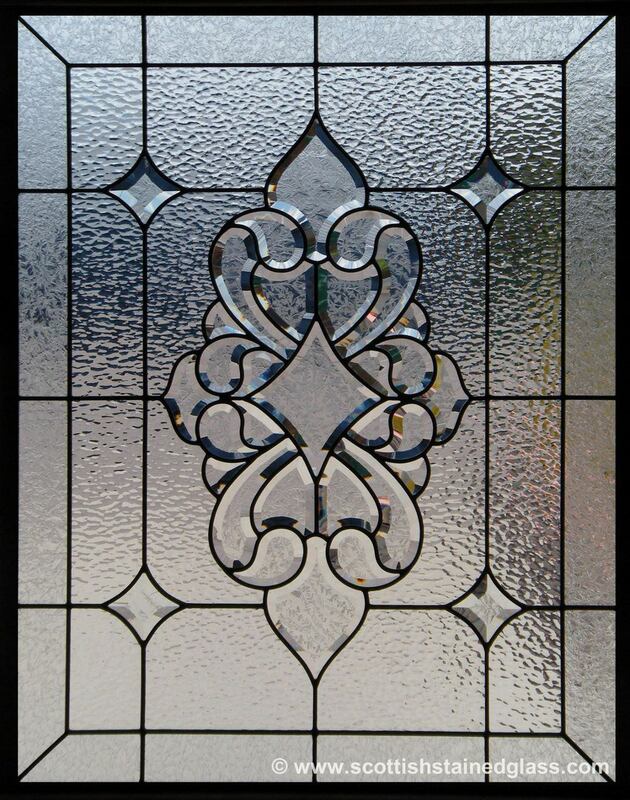 We usually bond our stained glass to your existing window, a simple process that will protect the new piece, as well as better insulate the window as a whole. 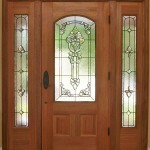 In terms of home stained glass applications, our most popular choice is to add stained glass to sidelights. 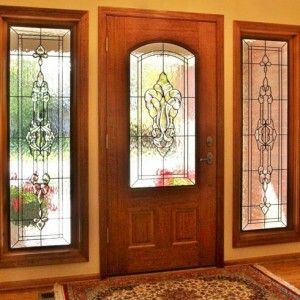 By adding textures and bevels to these front-door bordering windows, you can keep your privacy intact, yet still, let natural light into your home. 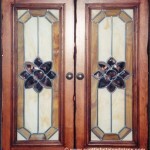 We can create an inviting entryway that will make a great first impression for guests with stained glass sidelights. 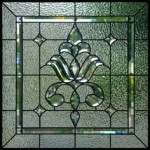 Because of the versatility of our products, we can actually add stained glass to any area of your home. Some other great locations include doors, kitchens, cabinets, bathrooms, transoms, bedrooms, and basements. Browse through our gallery to get a better idea of the many options we can offer your Kansas City home! 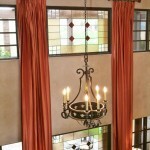 While each piece is unique, our team does specialize in many design styles, ranging from modern to traditional. 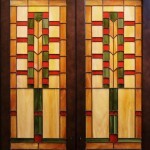 Some of these include Frank Lloyd Wright, Mission, Art Deco, Art Nouveau, Mackintosh, and Celtic knots. Take a look at our designs page to get a better idea of each look, and to learn more about which styles you like best. For your project, we can start from one of these styles, or a previous design to work towards your unique finished piece. Our designers will help you every step of the way, narrowing down your choices to a hand-picked selection that works best for your home and your personal wants. 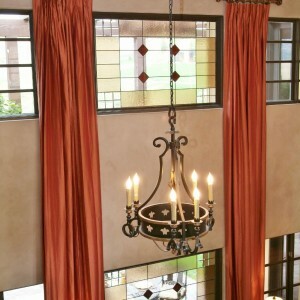 In addition to creating stained glass for homeowners in Kansas City, Scottish Stained Glass also creates beautiful designs and installations for commercial and religious buildings. 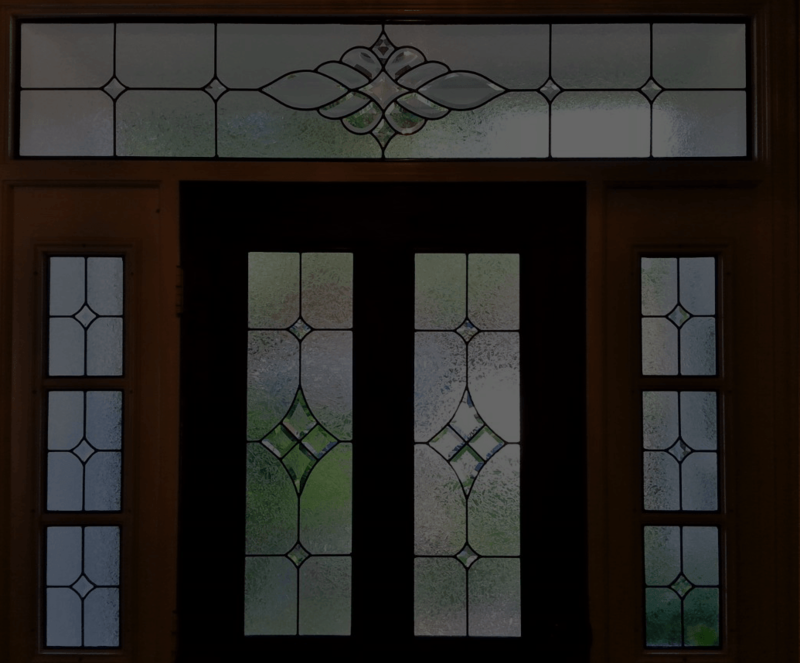 Whether you need a way to add privacy to certain rooms or interior doors or are simply looking for something that provides that extra special touch to make your building look unique, we can create the perfect stained glass window for you. We worked with business owners across all industries, including restaurants, retail, hotels, and more. Stained glass styles like prairie glass, mackintosh, and contemporary designs have a high end look and are perfect for hanging glass lights, windows and cabinets. We also have the ability to create custom glass signage, which is a great way to make your store stand out. Our work with religious groups is not limited to any denomination or style of architecture. We’ve worked on both newer churches and historic sites whose construction dates as far back as the early 1800’s. 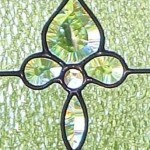 Stained glass has been traditionally incorporated into religious architecture for centuries. At Scottish Stained Glass, it is a joy for us to uphold this tradition and provide churches all throughout Kansas City with stained glass windows that bring their members joy, beauty, and meaning. Perhaps you’ve always imagined that stained glass is only for ancient churches or the wealthy? 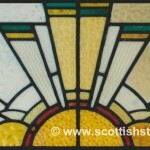 Our mission here at Scottish Stained Glass has been to make the beauty and uniqueness of this ancient art form more affordable to more people, with prices starting at only $150 per square foot. Your existing windows usually don’t have to be removed to install a stained glass panel. It’s a quick and easy process. The existing window remains as a layer of both insulation and protection for the new stained glass. 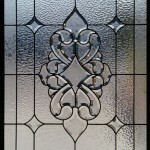 Talk to us today about adding Kansas City stained glass, etched glass, or beveled glass to your home or place of business. 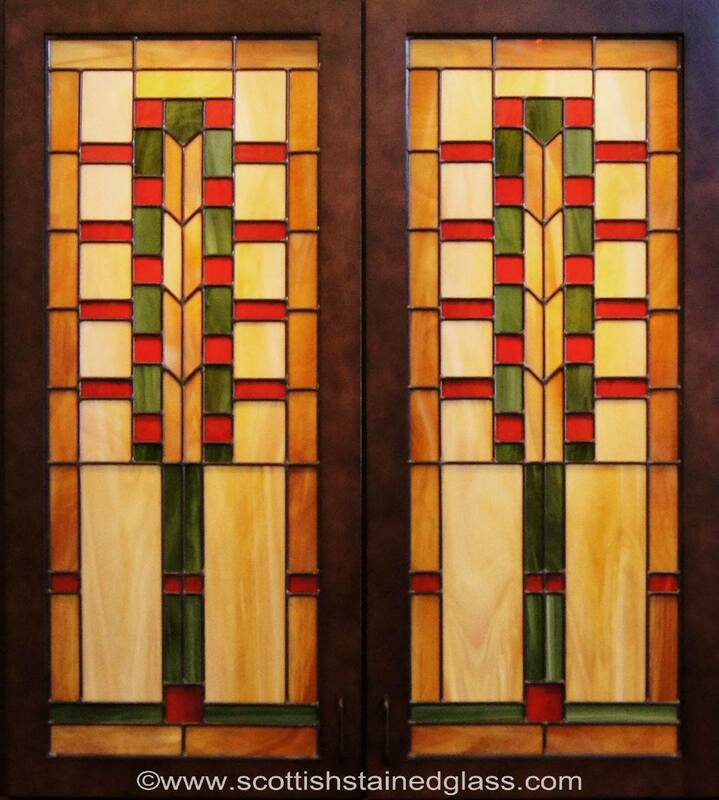 Scottish Stained Glass is proud to serve not only Kansas City but the entire state of Kansas, with the highest quality stained glass available. 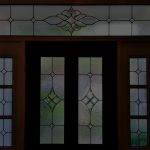 We are the leading stained glass providers in the nation, and with an A+ rating from the Better Business Bureau, you can feel comfortable working with an experienced, reliable company. Give us a call or send an email if you have any questions about our products, our process, or to set up a consultation with one of our designers today. 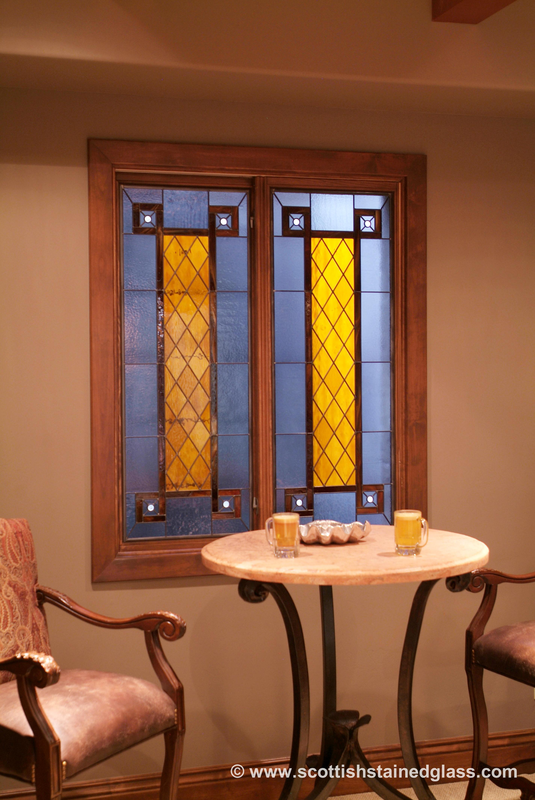 We can’t wait to get started on adding Scottish Stained Glass to your Kansas City home!